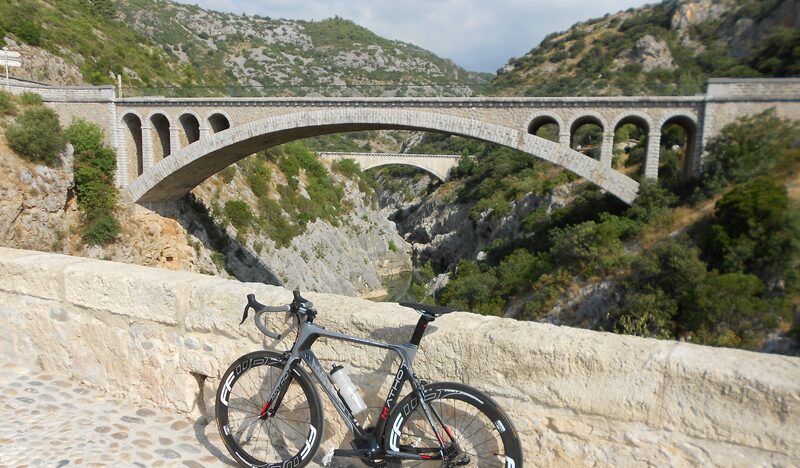 To tell the full story of what brought an Australian guy to the beautiful region of the Herault Valley in the South of France to run a cycling gite would take too many pages so I’ll keep it short….but if you want the long story you can check out an interview I did with pezcyclingnews a few years ago here. Ever since my first race in France back in 2003 I’ve dreamed of one day having a little castle of my own to share with cycling mates from around the world. I never thought it would actually happen though but thanks from the support of my friends, family and my beautiful French wife Katia it has finally happened. It may not be the chateau pictured above but ‘Hidden House’ is my perfect chateau for a cycling holiday in the south of France. Being in the heart of the village, yet totally calm with its private courtyard and secure garage for bikes you can experience what it’s really like to live in France whilst being able to explore hundreds of miles of superb riding from your doorstep. Saint André de Sangonis is 35km west of Montpellier where you will find all the major transport links including a TGV station and airport. Fully equipped and furnished house with dishwasher, washing machine, kitchen, bathroom etc. Just bring your clothes and your bike, everything else is here for the full comforts of home. perfect road cycling in every direction with a full guide book of routes mapped out for you. secure garage for your bikes with tools & trackpump at guests’ disposal. Possibility of guided tours to iconic cycling spots like Mt Ventoux (2 hour drive away), Pic de Nore (featured in the 2018 Tour de France on stage 15) and more. Hope to see you soon at Hidden House.